When I saw this vase, it made me squeal with girlish delight. Literally: My husband was like, "What's wrong?!" and I was like, "Omgomgomg go away can't talk." 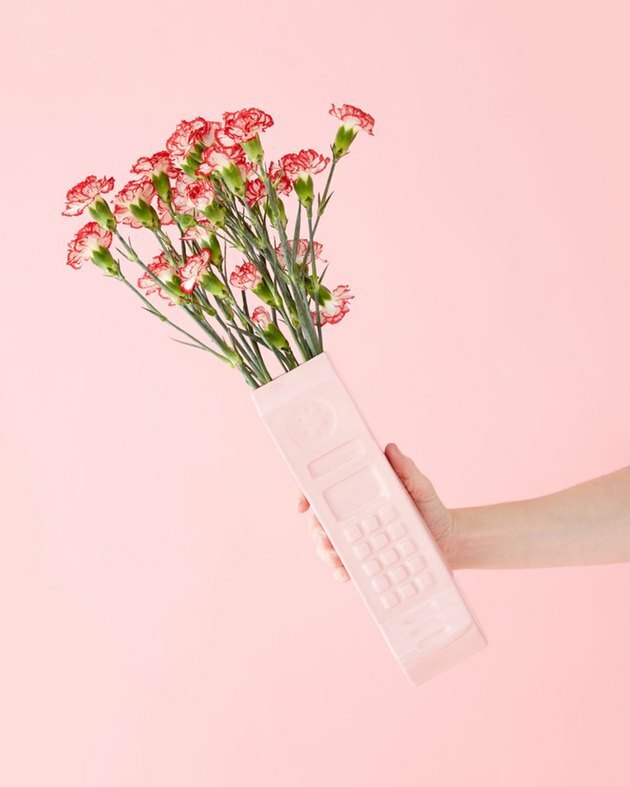 Because everything about this brick phone-shaped vase — made exclusively for Ban.do by designer Wyatt Little — reminded me of my childhood, and I just needed a minute to marvel at how perfectly a piece of decor could transport me to the past. Like many '90s girls, I was obsessed with phones, especially those of the cordless/mobile variety. They were teen status symbols dangled in front of us by the likes of Zack Morris and Cher Horowitz — but no one actually ever had one ( at least, no kid that I knew before 1999 ). So we devoured phone-like products marketed towards us. I remember going to Disneyland in 1990 with a water bottle that looked just like this vase, with a sticker on the front depicting phone buttons and my own personal number: 555-9999. And then came the Barbie Power Wheels with a matching car phone and the game Dream Phone with a magenta handset that you maybe just left around your room in case an unsuspecting grown-up would come in and say, "Oh wow, you have a phone," and you'd be like, "Why yes, yes I do, it is totally a real phone not a fake one." So, kudos to Ban.do for bringing this perfect vase into the world — '90s girls everywhere thank you. 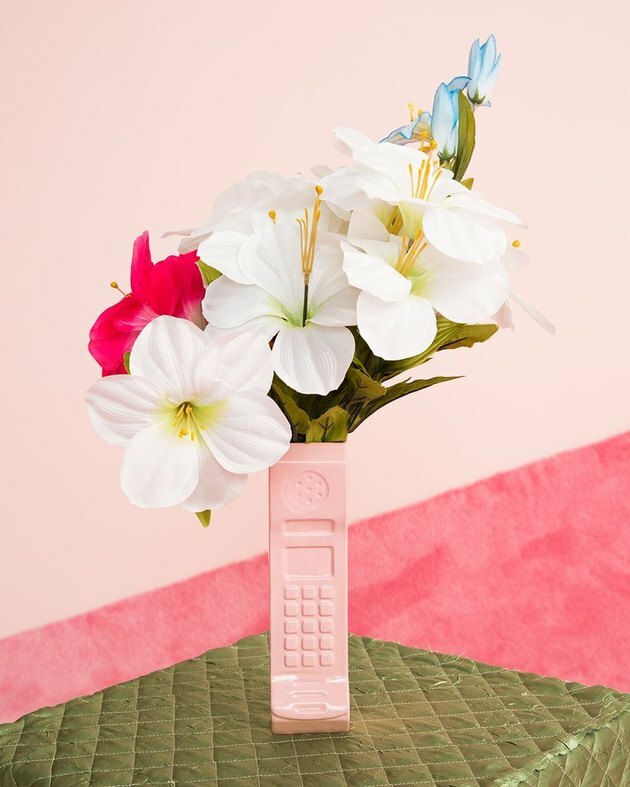 Pink Ceramic Phone Vase, $90, available at Ban.do. Leonora Epstein is Hunker's Senior Director of Content. She has previously served as Executive Editor at HelloGiggles and as BuzzFeed's Deputy Editorial Director. She is the co-author of "X vs. Y: A Culture War, a Love Story" (Abrams, 2014). Should I Get This UO Leopard Lamp or Nah?